Tainan City-based National Cheng Kung University and Singapore Technologies Engineering Electronics Ltd. concluded a memorandum of understanding on smart technology development March 7 in southern Taiwan. Under the private-academic sector pact, the two sides will leverage their respective research and industrial strengths to jointly advance self-driving technology, build a smart campus, and promote medical care and transportation. During the initial stage, efforts will revolve around creating automotive vehicle testing and validating systems based on NCKU’s proprietary smart car project, as well as dedicated assessment procedures and processes with National Applied Research Laboratories under the Ministry of Science and Technology. NCKU President Su Huey-jen said smart technology is an R&D priority and the university is dedicating more resources to key areas such as engineering, medicine, transportation and urban design. The institution also maintains a close relationship with Taiwan’s leading research organizations like state-backed Industrial Technology Research Institute. According to Su, a 2017 study by U.K.-based marketing firm Juniper Research shows Singapore is a global leader in smart technology development. 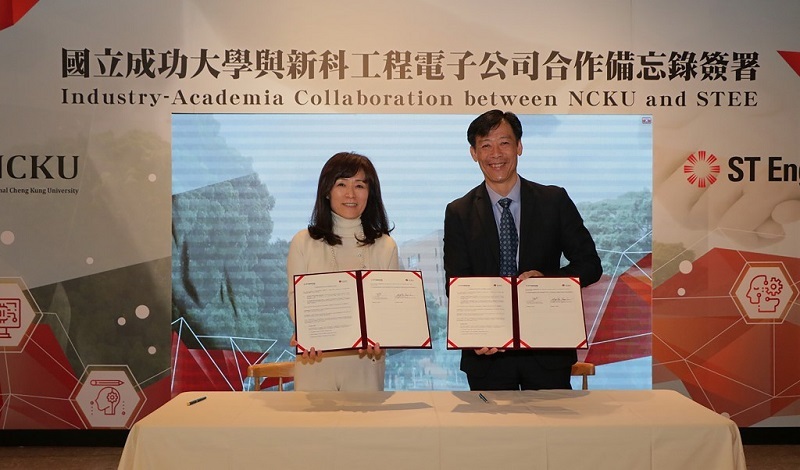 The partnership will provide NCKU with a great opportunity to learn from the city-state’s successful experiences and high-tech know-how.